Portugal has all the assets to offer a cheap and fast move for Europeans and for other foreigners alike; Portugal is served both by sea, land and air with its 82,900 kilometers of roadways and its 65 airports. Learn about the immigration and moving process from top international moving companies with ExpatFinder. Whether you are a frequent visitor, a transit traveler in awe of the majestic landscape or someone who has set his heart on spending his retirement years on sunny shores, Portugal is a natural choice. Making up the greater portion of the western littoral of the Iberian Peninsula, Portugal encompasses the Azores (Açores) Archipelago, Madeira, and Porto Santo; it is bordered by Spain and the Atlantic Ocean. Lisbon, the capital city, is located on the west coast. The City has just undergone a recent face-lift of its underground system. Must see attractions include the new bridge over the river, the Ponte Vasco da Gama, and Europe's second largest Oceanarium. The British make up a good portion of holidaymakers who just can't resist the beauty of the world-renowned Algarve beaches with its golf courses. Some expats have uprooted to this idyllic land with the great promise of a new beginning, be it for a career move or a new lifestyle. You will easily get lost in all the splendor of the land, but you can also get lost in translation, as the Portuguese, even if they are multilingual (French, English, German, or Spanish), prefer to communicate in their mother tongue. Plus, the Portuguese language is tough to learn. With 20 years of membership in the European Union, Portugal has elevated its status not only as a component of a prominent organization, but as an economic might pulling in investors and major communication companies to its fold. For short-term stays, nationals of EEA Member States must register within 30 days of the end of their first three months in the country at the Town Council (Municipality) in which they live. When they register, they are issued with a registration certificate that is valid for five years, or for the specific period of residence, if less than five years. Family members must have a valid identity card/passport, evidence of kinship and the registration certificate of the national of the EEA Member State before obtaining a registration certificate. All foreigners are mandated to obtain a residence card (autorização de residência) to live permanently in Portugal, including EU nationals. You can apply for the residence card from the nearest Foreigners' Department (Serviço de Estrangeiros e Fronteiras/SEF) of the Portuguese Ministry of Internal Affairs. Non-EU citizens must obtain a visa (visto para residência) from a Portuguese consulate in their home country before coming to Portugal, whatever the purpose of the visit: study, work or lifestyle. Expats need to present a valid identity card or passport for a registration certificate, and must give a sworn declaration. Relocating to Portugal is the start of a big adventure, from housing to household goods move, check out the different steps to organise your relocation. Rates and rules may vary depending on the international cargo shipment company's guidelines. The general rule about importation to and exportation from Portugal includes the prohibition of pornographic materials, drugs, narcotics and ammunition. Documents required to process must be available prior to shipment such as passport, a copy of Certificado de Bagagem, which has to be issued by the Portuguese Consulate, and two inventory lists written in Portuguese language that has the stamp of Portugal Consul office. Shipping motor vehicles must also be included in the inventory list. For major electrical appliances and vehicles, the serial number has to be listed. Shipment of any vehicle has to be processed only after three months of staying in Portugal. 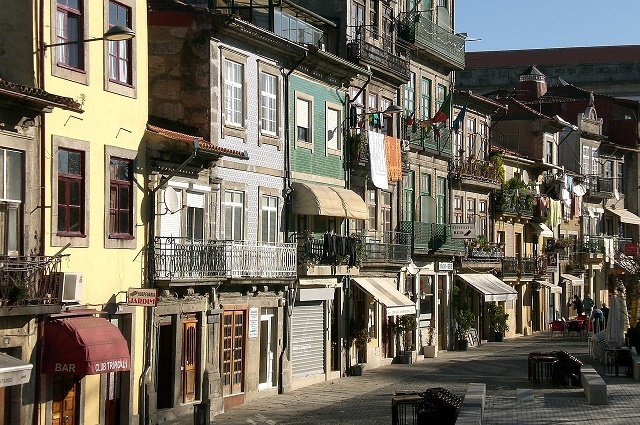 Proof that the moving expat is entitled to reside in Portugal called Atestado do Residencia, a copy of the deed to property owned by the expat, and a Work Permit or a Permanent Residence Permit are the things needed at the immigration. Likewise, when claiming shipped goods in Portugal. Expats must provide a signed declaration of ownership of goods stating that the shipped goods are the expat's owned possessions which also has to be notarized. For firearms shipment, only up to a 7.62 mm can be allowed, and it has to have the issuance of a special permit from the MDN or Ministry of National Defense. Portugal, a popular expat destination situated on the western edge of Europe is one of the oldest independent nations in the world. It has a sunny weather, cool atmosphere, picturesque beaches and invitingly rich culture that continue to lure foreigners from all over the globe. The promising beauty and climate of Portugal is attractive to the neighbouring nationalities and migrating expats who wish to live in a country with excellent weather conditions. Expats need to be aware that unemployment in the country is a little bit high compared to other European countries. But despite the turbulent years of the 'Great Recession' between 2000 and 2014, Portugal managed to rise above the financial crises and prove itself as a desirable expat destination. Generally speaking, this country is a safe place where violence and crime rates are low. The locals are friendly, and there is an undeniable abundance of natural beauty. Portugal is one of those blessed nations whose authentic charm still radiates brightly to this day. The Portuguese culture, like its sun-kissed beaches, is warm and welcoming. However, you should still adhere to the formalities and address the locals with titles such as "senhor" and "senhora." It is very important to learn at least a few handy Portuguese words and phrases. Any attempt to speak the language will be well received. The Portuguese are very polite. Remember to use "Por favor" (please)! "Obrigada" (thank you) if you're a woman, "Obrigado" if you're a man. Family life is the vital ingredient in Portuguese society. Locals are likely to embrace extended family and maintain extremely close ties. It is even said that nepotism is part of the way of life in Portugal. The pace of life in Portugal is what most of us can only aspire to - laid back, even in business establishments. Uncertainties loom, and Portuguese is a difficult language to grasp, still, Portugal is the picturesque land of dreams. Knowing the history is always one of the best ways to full appreciate your new host country and those who will live in Portugal will not run out of places to go where they can have a glimpse of this Iberian nation’s past. 20,000 year old stone carvings also known as Palaeolithic art have been immortalised in the mysterious city of Vila Nova de Foz Côa. Expats can also gaze at the ever mesmerising sunset and the magnificently preserved Temple of Diana in Évora. Other perfect historical destinations for those who yearn to understand the culture of Portugal are the UNESCO World Heritage Sites that are scattered all across the country. 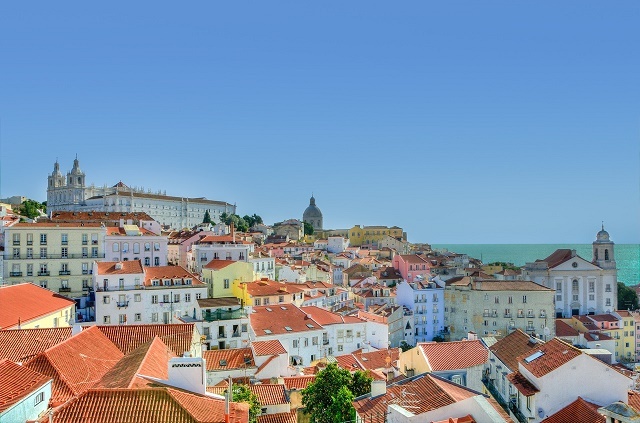 After taking a historical adventure, expats can head to Portugal’s stunning coastlines. The beaches, particularly those in Algarve are perfect for water activities such as surfing and swimming. Those who love to golf will also find a haven in Portugal because of the huge investments that were put in the golfing infrastructures whereas more than half of the golf courses are of high standard. Other top leisure activities among the locals are cycling in the terrains of Geres and white-water rafting in the river Duoro. Those old but beautiful castles located in Lisbon, Alentejo, Beiras, and Algarve will surely make children feel that they are in a fairy tale country. And the Museum of Carnival Masks in Braganca is also inviting for kids. With a picture perfect weather, the whole family can also bask in the sun while visiting Caldeira das Sete Cidades in Ponta Delgada or Ponta da Piedade in Lagos. Parents can get significant discounts for children should they want to travel for outdoor escapades. Kids below 12 years old are given 50% off on rail transportation while preschoolers can have free entrance to some parks and museums. Expats with kids do need to know that there are certain hotels offering kids club where they can check in and relax while their kids enjoy and make new friends. In Algarve, kids club offers children activities like horseback riding, painting, and golf. Some offer social events for kids such as football and volleyball. Hotels with kids club include CS Sao Rafael Suit, Grande Real Santa Eulalia, Pestana Dom Joao Village and in Sheraton Algarve. The family holds so much importance in the Portuguese culture whereas relatives always come first before career and social relationships. Nepotism is even encouraged in the workplace. One's appearance does matter in the country's conservative society, and most people maintain formality in social gatherings. Expats starting a new career and life in Portugal must remember that a handshake is always accompanied by a direct eye contact. Address colleagues with the title 'senior' and 'Senhora' with the surname, and wait for their permission before you call them by their first name. The Portuguese would rather have a face-to-face meeting instead of dealing with transactions on the phone. 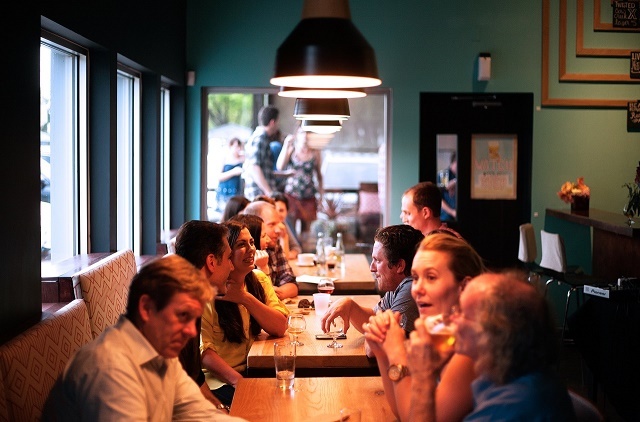 Remember that relationships between co-workers and friends are vital among the locals. Setting an appointment for meeting is necessary, and one must also try to reconfirm the scheduled meeting a few days in advance. Note that August is the month when most take vacations, so avoid making business plans during that time. Fluency in the Portuguese language is required in every workplace in Portugal, and non-native language speakers find it hard to communicate with their peers, especially in understanding the written language and literature. Thus, the language barrier is the main cause of cultural differences in the workplace. Expats are advised to learn Portuguese. There are schools like The Portuguese Language School in Lisbon, which has different programs depending on client's need. Programs vary from a Portuguese Private Tuition Course that last for a week to Portuguese Language for Life Course, which take 22 weeks to complete.